For taller Christmas Tree use 4, 6, 8, and 10mm Swarovski #3700. We do not offer this charm in a kit but if you would like to see other to purchase, they can be found here. 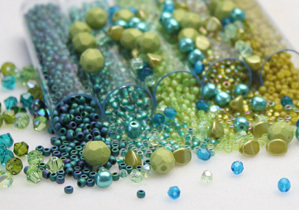 All carrier beads, 50% off on our site now! Use code "FLAT50"